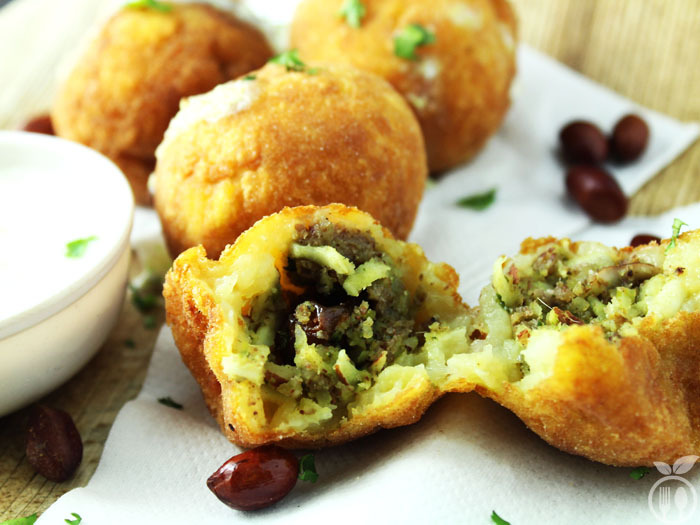 Farali Pattice is a fasting recipe with tasty coconut and dry fruit stuffing covered with crispy layer of mashed potatoes. 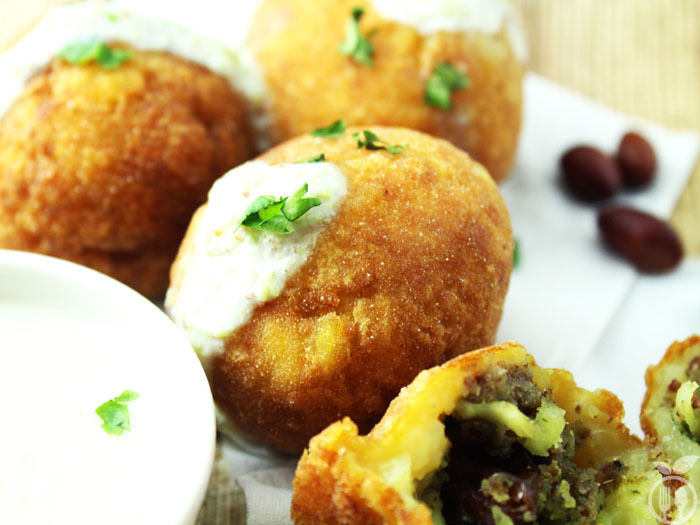 Farali Pattice is the recipe that is highly in demand while festival seasons. In India, we have so many religious festivals and all have their unique identity among the people. Fasting Recipes have their special role for festivals, we include only some of the ingredients during the fast in festivals. Farali Pattice is super delicious and mouth-watering recipe always we cook during fast days in especially maha shivratri and ram-navmi festivals. This is a another mashed potato recipe for special festival dish. 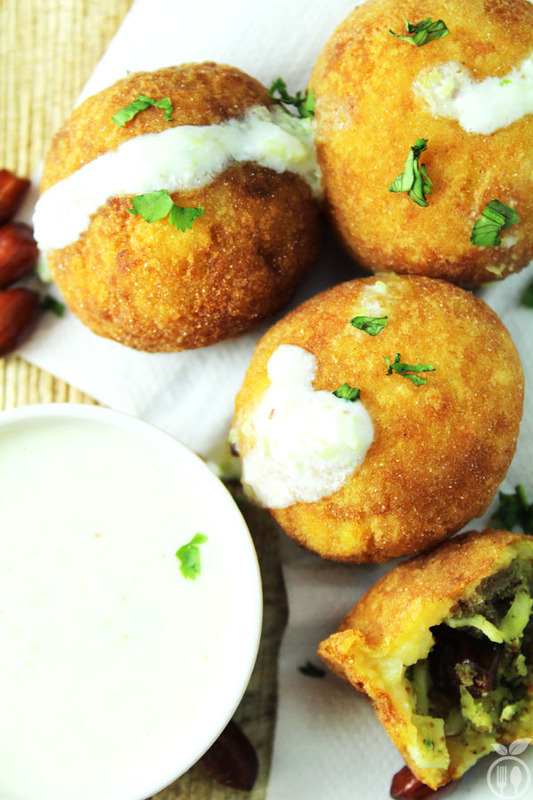 I have also shared many mashed potato recipes like Potato Stuffed Dal Dhokli Recipe, Mumbai Style Batata Vada (Crispy Potato Fritters) and Spicy Mashed Potato Donuts (A Leftover Mashed Potato Recipe. During my childhood, though I was not able to do fast, because you can eat only once in day if you do fast, I did all the fast only to eat this Pattice. My papa used to bring Farali Pattice from one famous sweets shop, which is famous for special fasting recipes. This authentic farali pattice prepared with a crispy outer layer of mashed potatoes filled with dry fruit mixture with some spices inside. You cannot use leftover mashed potatoes for this recipe, only freshly boiled and mashed potatoes are preferred because in leftover mashed potato, you have to add more flour for binding and it will ruin the taste. Use freshly grated coconut in stuffing. You can also grind them in mixture, but taste of grated coconut is more delicious. You can add more dry fruits if you like. I have added only raisins but you can also add cashew and almonds. 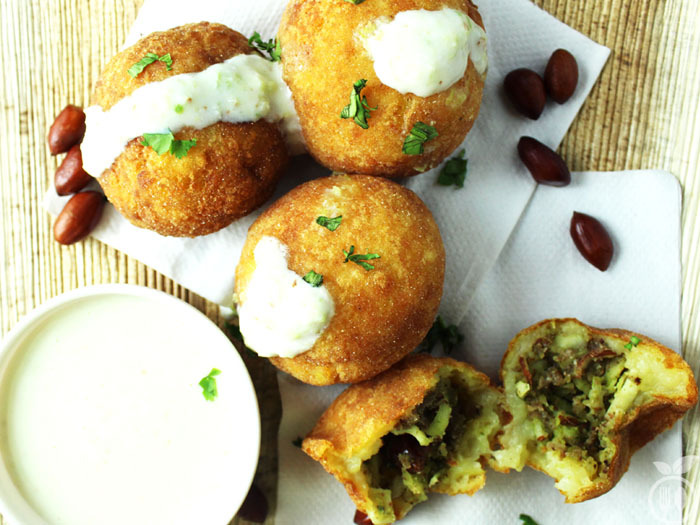 Farali Pattice is a fasting recipe with tasty coconut and dry fruit stuffing covered with crispy layer of mashed potatoes. 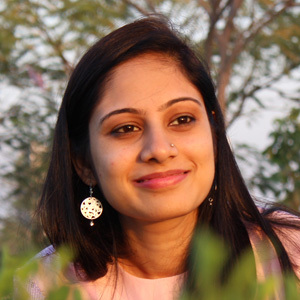 It is highly in demand while festival seasons in India. Take a mixture jar and add green bell pepper, spicy chili, ginger paste, lemon and sugar and make fine paste. In same mixture jar now add peanuts and sesame seeds and grind them coarsely. Take mixture into bowl and add other ingredients (freshly grated coconut, raisins, clove powder, cinnamon powder, salt) and make a small balls out of it. Number of balls is depends on size of balls. Mostly 10-12 medium size balls can be made from this mixture. In another bowl take boiled and mashed potatoes and add salt in it. Mix them well. If required add 2-3 tbsp arrow root flour(used while fasting) to give binding to potatoes. If you are not preparing for fasting then you can also add corn flour or rice flour into it. Now take 1 ball form mixture, flatten it, put the stuffing ball into it, gently seal the edges. Stuffing must be covered with mashed potato mixture. Prepare all the pattice same ways. In the frying pan, heat the oil for frying. Once the oil is hot, deep fry all the pattice. 1) You can serve this pattice with sweetened curd or tamarind-date chutney. 2) You can store the stuffing for 1 month in refrigerator. Hi Reena, just now saw this recipe of yours. Looking YUMMY. Will try making this during the coming weekend! Thanks Radha… Happy to know that. If we were to add almonds cashewsn pistas -should we blanch them? Hi Anjali, You don’t need to blanch them. you can add raw nuts whatever you like.